Do you have an in-home bar or a breakfast nook in your kitchen? Then you need a few fantastic barstools that will look great pushed under the edge of the bar or pulled out with a few family members perched on them. 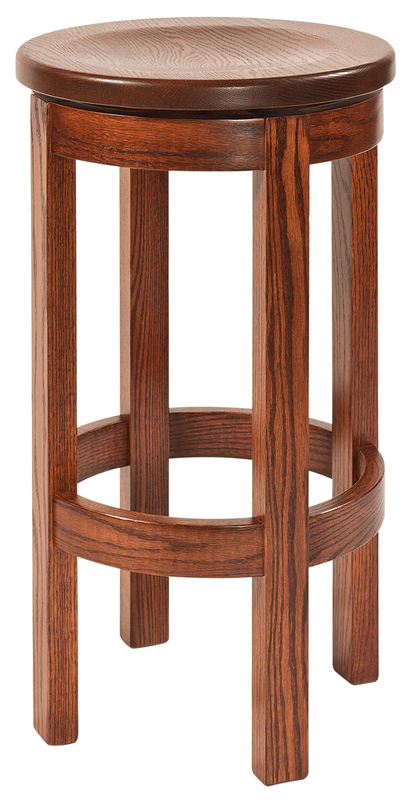 Our Barrel Barstools marry practicality and an attractive design. The seats can be customized to match your existing décor, a unique aspect of our barstool. These stools also come in different sizes, which you can choose depending on the height of your bar. Like all the furniture sold by AmishOutletStore.com, our barstools are produced by the Amish. These craftsmen learned the fine art of furniture making by watching the generations before them. Our artisans continue to use these methods today because they work. You won’t find sturdier, heartier or more attractive furniture than the pieces made by the Amish. This high quality of design and craftsmanship has made Amish furniture a very attractive buy for many homeowners. We can offer you a daily discount of up to 33 percent off our Barrel Barstools, and you can check out our homepage for additional savings through our monthly specials. Contact us today to receive more details on our Barrel Barstool or any of the furniture we sell.